David A. Smith has been appraising real estate in the Durham, North Carolina area for the past thirty years. 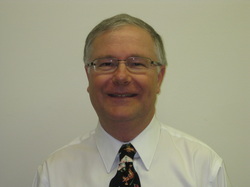 In 1988 he earned the RM/SRA designation and in 1991 the MAI designation of the Appraisal Institute. He is also a State-Certified General Real Estate Appraiser for the State of North Carolina (No. A281). He specializes in the appraisal of all types of non-single family residential real estate (industrial, commercial, office, multi-family residential) both vacant and improved, existing and proposed. He also appraises special use properties such as schools and churches. His clients are most of the major lending institutions in the area as well as the state and local governments in addition to attorneys, accountants and individuals. Appraisal assignments are for a variety of purposes including: mortgage loans, estate planning, condemnation, bankruptcy and equitable distribution. David A. Smith and Associates, Inc.